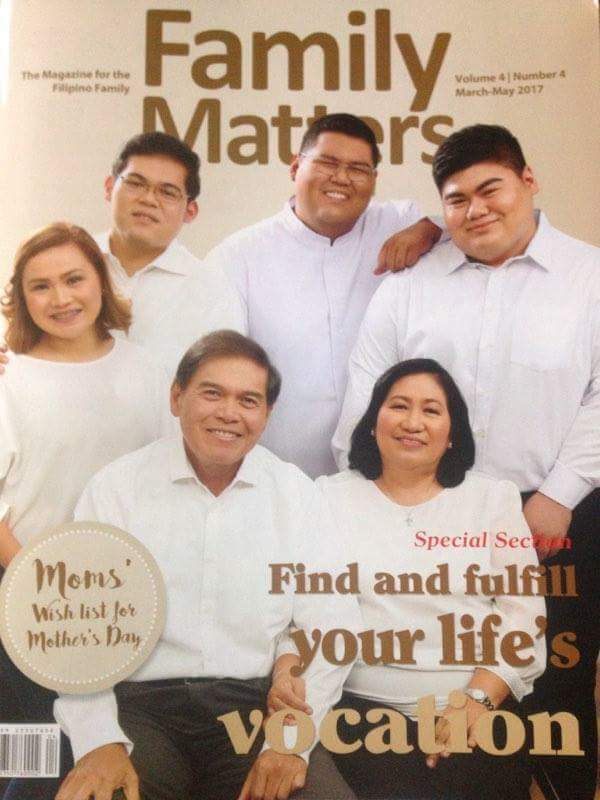 After being featured in Business Mirror Newspaper in their February issue, my kids and I got another one and this time, at Family Matters Magazine! 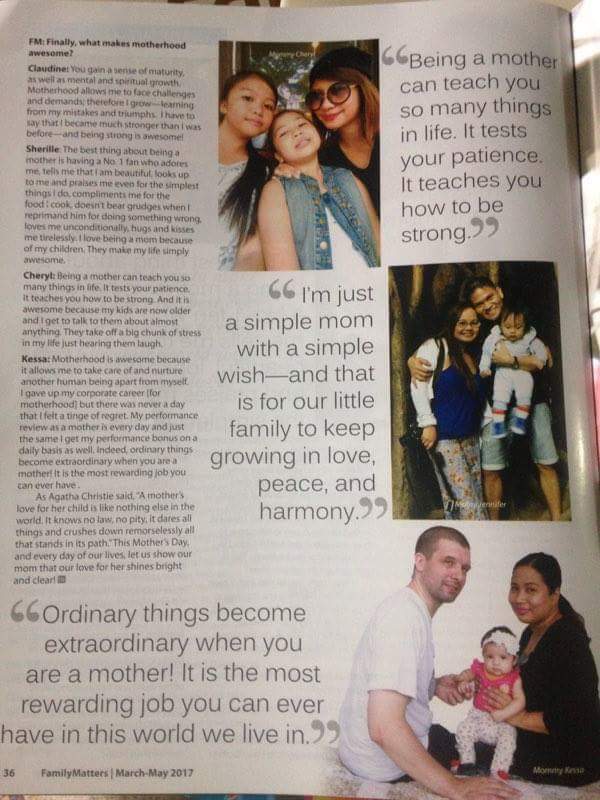 Grab a copy of Family Matters March -May 2017 issue and read on about their Mother’s Day special article. I shared my heartwarming Mother’s Day experience last year. My kids really made me cry that time. 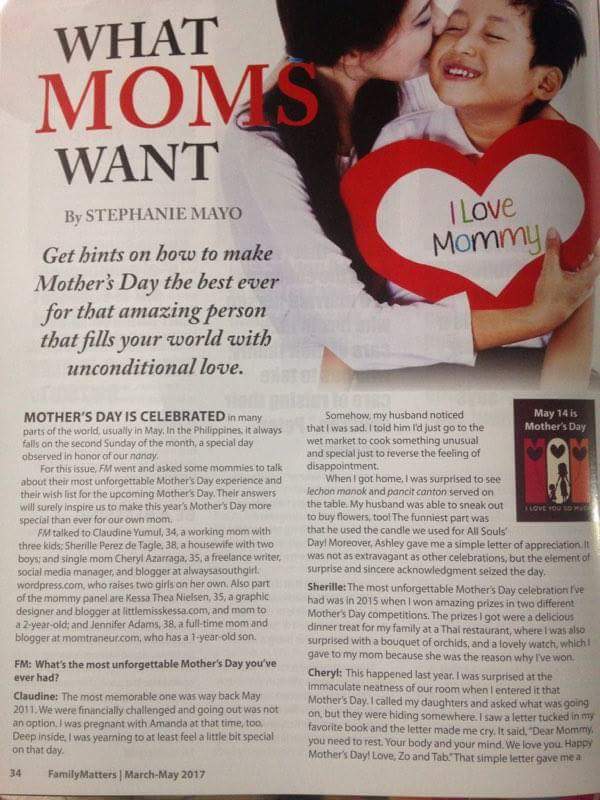 Thank you Don Bosco Publishing and to writer Stephanie Mayo for the interview.